The Cheshire Cat sportive is one of several to include the infamous Mow Cop killer mile. It was the first really challenging sportive I did and as such, I have a soft spot for it. It’s also featured in my list of Cheshire Sportives, so if you fancy a few cycling related challenges this year, take a look at that page too. For those that haven’t heard of Mow Cop, it’s a rather steep section of road that presents itself towards the end of a one-mile climb and quite rudely adds a 28% gradient at the very point you least want it. So, now you know why it’s called the Killer Mile. Don’t be put off by this and should you prefer to push, you will be in good company as many cyclists do just that. 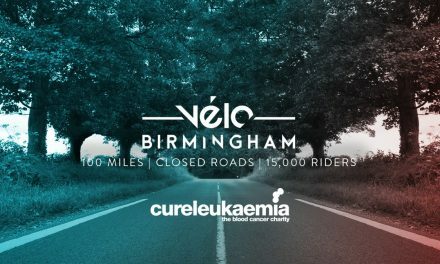 Up until recently, the Cheshire Cat sportive was organised by Kilo to Go but after they fell into hard times, the nice chaps at Velo 29 Events picked up the rights and breathed new life into this very special event. I’ve completed the middle distance (80m) a few times and whilst it’s probably time I challenged myself to do the 110-mile route, March is too early in the season for me to be doing a century, despite cycling through the winter months. Early season sportives are often beset by bad weather, with rain and wind adding to the sometimes less than fit cyclists that are daft enough to tackle them. However, I like these Winter-into-Spring events as they focus the mind, ensuring I keep cycling through winter and stop me being too much of a couch-potato. Previous events have attracted 2,500 to 3,000 cyclists so if you are daft enough, you’ll certainly not be on your own. As you can see from this elevation, the challenge is very much in the first 40m (65km) and whilst there are some steeper climbs, they are manageable. The first ascent is definitely the hardest, Mow Cop is a mile-long hill, which ramps up to 28% gradient, right at the very end. If the weather allows, the views will be pretty special. The second climb (Biddulph Moor) is gentle and you’ll be at the top before you realise it, assuming reasonable fitness levels of course. Climbs three and four are quite short (Meerbrook and Wincle) but you will see 10% gradients for some aspects of the climb. From this point onwards, it’s all straight forward cycling from there. Any news on Jodrell Bank sportive? Hi Dominic, absolutely nothing. I’ve tried all routes possible but haven’t heard anything on this. Shame as it was a good early season sportive.